The discovery, based on the chemistry of artificial photosynthesis, is detailed in the journal Energy & Environmental Science . The research has been published in the journal Energy & Environmental Science . As such solar and wind aren’t just insufficient, they are also unnecessary for solving climate change. That turns out to be a good thing. Sunlight and wind are inherently unreliable and energy-dilute. As such, adding solar panels and wind turbines to the grid in large quantities increases the cost of generating electricity, locks in fossil fuels, and increases the environmental footprint of energy production. There is a better way. But to understand what it is, we first must understand the modern history of renewable energies. Most people think of solar and wind as new energy sources. In fact, they are two of our oldest. The predecessor to Stanford University Professor Mark Jacobson, who advocates “100 percent renewables,” is A man named John Etzler. In 1833, Etzler proposed to build massive solar power plants that used mirrors to concentrate sunlight on boilers, mile-long wind farms, and new dams to store power. Even electricity-generating solar panels and wind turbines are old. Both date back to the late 1800s. Throughout the 20th Century, scientists claimed — and the media credulously reported — that solar, wind, and batteries were close to a breakthrough that would allow them to power all of civilization. Reporters were as enthusiastic about renewables in 1930s as they are today. Decade after decade, scientists and journalists re-discovered how much solar energy fell upon the earth. “Even on such an area as small as Manhattan Island the noontime heat is enough, could it be utilized, to drive all the steam engines in the world,” The Washington Star reported in 1891. Progress in chemistry and materials sciences was hyped. “Silver Selenide is Key Substance,” The New York Times assured readers. R&D subsidies for solar began shortly after and solar and wind production subsidies began in earnest in the 1970s. Solar and wind subsidies increased substantially, and were increased in 2005 and again in 2009 on the basis of a breakthrough being just around the corner. By 2016, renewables were receiving 94 times more in U.S. subsidies than nuclear and 46 times more than fossil fuels per unit of energy generated. According to Bloomberg New Energy Finance (BNEF), public and private actors spent $1.1 trillion on solar and over $900 billion on wind between 2007 and 2016. Global investment in solar and wind hovered at around $300 billion per year between 2010 and 2016. Did the solar and wind energy revolution arrive? Judge for yourself: in 2016, solar and wind constituted 1.3 and 3.9 percent of the planet’s electricity, respectively. Are there places in the world where wind and solar have become a significant share of electricity supplies? The best real-world evidence for wind’s role in decarbonization comes from the nation of Denmark. By 2017, wind and solar had grown to become 48 and 3 percent of Denmark’s electricity. Does that make Denmark a model? Not exactly. Denmark has fewer people than Wisconsin, a land area smaller than West Virginia, and an economy smaller than the state of Washington. Moreover, the reason Denmark was able to deploy so much wind was because it could easily export excess wind electricity to neighboring countries — albeit at a high cost: Denmark today has the most expensive electricity in Europe. And as one of the world’s largest manufacturers of turbines, Denmark could justify expensive electricity as part of its export strategy. As for solar, those U.S. states that have deployed the most of it have seen sharp rises in their electricity costs and prices compared to the national average. As recently as two years ago, some renewable energy advocates held up Germany as a model for the world. No more. While Germany has deployed some of the most solar and wind in the world, its emissions have been flat for a decade while its electricity has become the second most expensive in Europe. More recently, Germany has permitted the demolition of old forests, churches, and villages in order to mine and burn coal. Meanwhile, the two nations whose electricity sectors produce some of the least amount of carbon emissions per capita of any developed nation did so with very little solar and wind: France and Sweden. Sweden last year generated a whopping 95 percent of its total electricity from zero-carbon sources, with 42 and 41 coming from nuclear and hydroelectric power. France generated 88 percent of its total electricity from zero-carbon sources, with 72 and 10 coming from nuclear and hydroelectric power. Other nations like Norway, Brazil, and Costa Rica have almost entirely decarbonized their electricity supplies with the use of hydroelectricity alone. That being said, hydroelectricity is far less reliable and scalable than nuclear. Brazil is A case in point. Hydro has fallen from over 90 percent of its electricity 20 years ago to about two-thirds in 2016. Because Brazil failed to grow its nuclear program in the 1990s, it made up for new electricity growth with fossil fuels. The fact that we don’t need renewables to solve climate change is good news for humans and the natural environment. The dilute nature of water, sunlight, and wind means that up to 5,000 times more land and 10 – 15 times more concrete, cement, steel, and glass, are required than for nuclear plants. All of that material throughput results in renewables creating large quantities of waste, much of it toxic. For example, solar panels create 200 – 300 times more hazardous waste than nuclear, with none of it required to be recycled or safely contained outside of the European Union. Meanwhile, the huge amounts of land required for solar and wind production has had a devastating impact on rare and threatened desert tortoises, bats, and eagles — even when solar and wind are at just a small percentage of electricity supplies. Does this mean renewables are never desirable? Not necessarily. Hydroelectric dams remain the way many poor countries gain access to reliable electricity, and both solar and wind might be worthwhile in some circumstances. 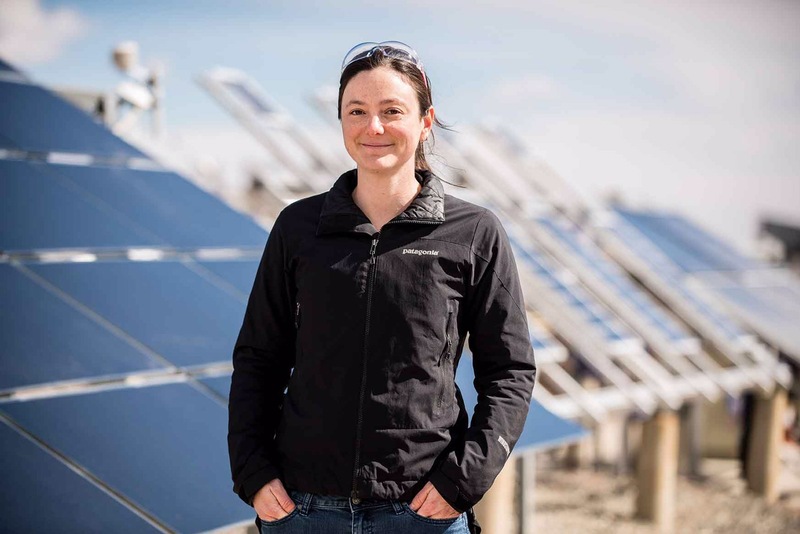 But there is nothing in either their history or their physical attributes that suggests solar and wind in particular could or should be the centerpiece of efforts to deal with climate change. In fact, France demonstrates the costs and consequences of adding solar and wind to an electricity system where decarbonization is nearly complete. France is already seeing its electricity prices rise as a result of deploying more solar and wind. Because France lacks Sweden’s hydroelectric potential, it would need to burn far more natural gas (and/or petroleum) in order to integrate significantly more solar and wind. If France were to reduce the share of its electricity from nuclear from 75 percent to 50 percent — as had been planned — carbon emissions and the cost of electricity would rise. It is partly for this reason that France’s president recently declared he would not reduce the amount of electricity from nuclear. Some experts recently pointed out that nuclear plants, like hydroelectric dams, can ramp up and down. France currently does so to balance demand. But ramping nuclear plants to accommodate intermittent electricity from solar and wind simply adds to the cost of making electricity without delivering fewer emissions or much in the way of cost-savings. That’s because only very small amounts of nuclear fuel and no labor is saved when nuclear plants are ramped down. Do We Need Solar and Wind to Save Nuclear? While solar and wind are largely unnecessary at best and counterproductive at worst when it comes to combating climate change, might we need to them in support of a political compromise to prevent nuclear plants from closing? At least in some circumstances, the answer is yes. Recently in New Jersey, for example, nuclear energy advocates had to accept a subsidy rate 18 to 28 times higher for solar than for nuclear. The extremely disproportionate subsidy for solar was a compromise in exchange for saving the state’s nuclear plants. While nuclear enjoys the support of just half of the American people, for example, solar and wind are supported by 70 to 80 percent of them. Thus, in some cases, it might make sense to package nuclear and renewables together. But we should be honest that such subsidies for solar and wind are policy sweeteners needed to win over powerful financial interests and not good climate policy. Consider that the problem of the unreliability of solar has been discussed for as long as there have existed solar panels. During all of that time, solar advocates have waved their hands about potential future solutions. We now know that, in the real world, electricity grid managers cope with the unreliability of solar by firing up petroleum and natural gas generators. As such — while there might be good reasons to continue to subsidize the production of solar and wind — their role in locking in fossil fuel generators means that climate change should not be one of them. The Army Corps of Engineers have successfully created a usable prototype of a new type of water filter. The membranes are made of a mixture of chitosan, a material commonly found in shrimp shells, and a new synthetic chemical known as “graphene oxide”. 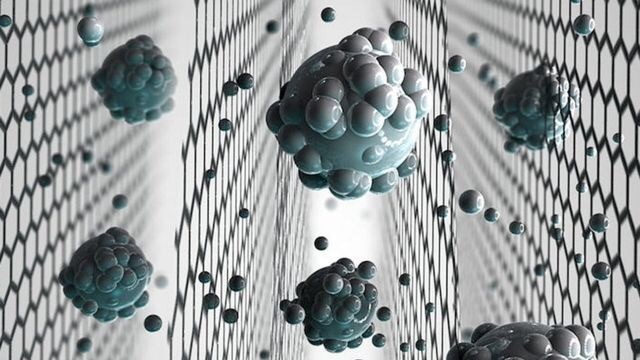 Graphene oxide is a highly researched chemical worldwide. According to the Army Corps, one problem encountered by scientists working with graphene oxide is not being able to synthesize the material on a scale that can be put to use. 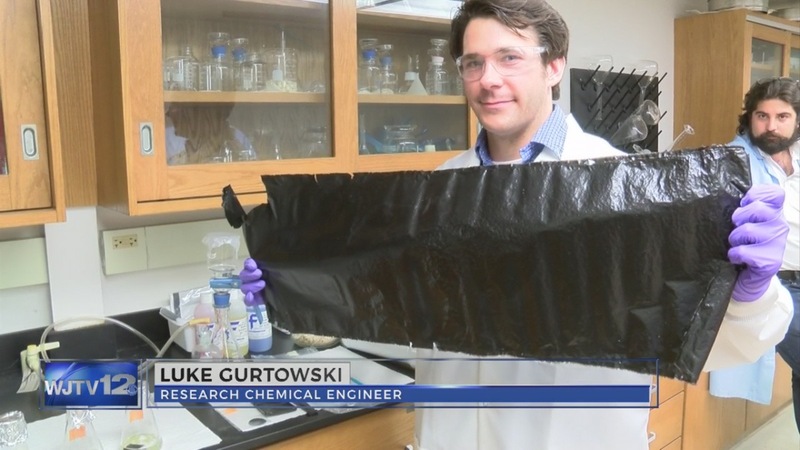 “One of the major breakthroughs that we’ve had here is that with our casting process, we’re not limited by size,” explains Luke Gurtowski, a research chemical engineer working on the membranes. These filters have been found to effectively remove a number of different contaminants commonly found in water. Dr. Christopher Griggs is the research scientist in charge of overseeing development of the new membranes. Another challenged faced by conventional water filtering methods is maintaining high energy efficiency. The Engineer Research and Development Center currently has two patents associated with the new filters and hopes to apply them for both civil and military purposes in the near future. Given the dramatic impact human-made carbon emissions are having on our planet, cleaner energy sources have become increasingly popular alternatives to their fossil fuel counterparts. Currently, solar and wind are the most widely used renewable energy sources, but both are dependent on certain conditions. The former can capture energy only during daylight hours, while the latter is more unpredictable, but often peaks at night. As such, there’s a mismatch between when solar and wind energy are available and when energy is needed. The world needs a way to maximize renewable energy usage, and that’s what Malta, a project currently brewing at Alphabet X, the “moonshot” factory by Google’s parent company, is hoping to provide. For Malta, the idea was to find a way to maximize the use of energy generated from renewables. 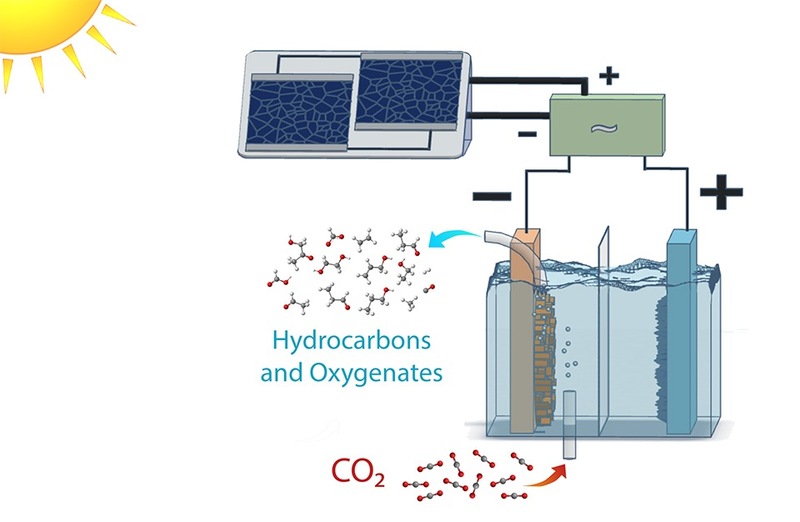 Their radical solution is bridging the gap between renewable energy and grid-scale energy storage technologies using a breakthrough technology developed by Stanford physicist and Nobel laureate Robert Laughlin. 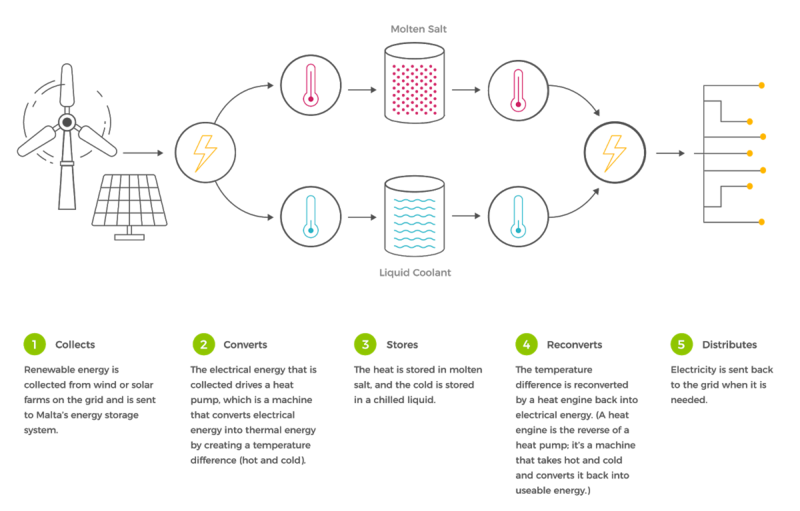 According to the project’s website, this technology is still theoretical and involves storing electricity as either heat within molten salt or cold within a liquid similar to the antifreeze used in cars. They claim this energy could remain stored for up to weeks at a time. Essentially, Malta is hoping to develop clean and cost-effective energy storage devices, which is similar to the concept behind Tesla’s Powerpack. The difference between the Malta project’s tech and the Powerpack is mostly what’s inside. While Tesla’s energy storage device uses 16 individual battery pods, Malta’s relies on molten salt or the antifreeze-like liquid. Additionally, the tanks used to store the salt used by Malta’s system could potentially last for up to 40 years, which the project claims is three or more times longer than other current storage options. That extended lifespan would make Malta a cheaper alternative to other renewable energy storage devices. alphabet x malta renewable energy. After two years of developing and designing their system, the Malta team is now gearing up to test the commercial viability of their technology. “The next step is to build a megawatt-scale prototype plant which would be large enough to prove the technology at commercial scale,” according to their website. We now have multiple ways to generate energy from renewables, but if we ever hope to fully transition away from traditional energy solutions, we need better storage devices. 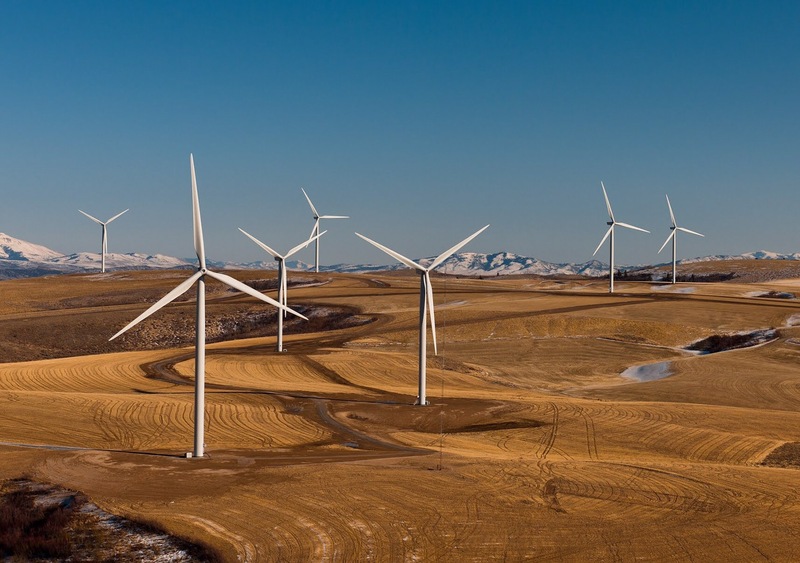 Though they are clearly better for the environment, renewables aren’t as consistent as fossil fuels, and that unreliability is a huge barrier to widespread adoption. Storage systems like those proposed by Malta could collect the energy generated by renewables and ensure it is available to power grids whenever needed, putting us one step closer to a future completely free of fossil fuels. Update: Super Capacitor Assisted Silicon Nanowire Batteries for EV and Small Form Factor Markets. A New Class of Battery /Energy Storage Materials is being developed to support the High Energy – High Capacity – High Performance High Cycle Battery Markets.